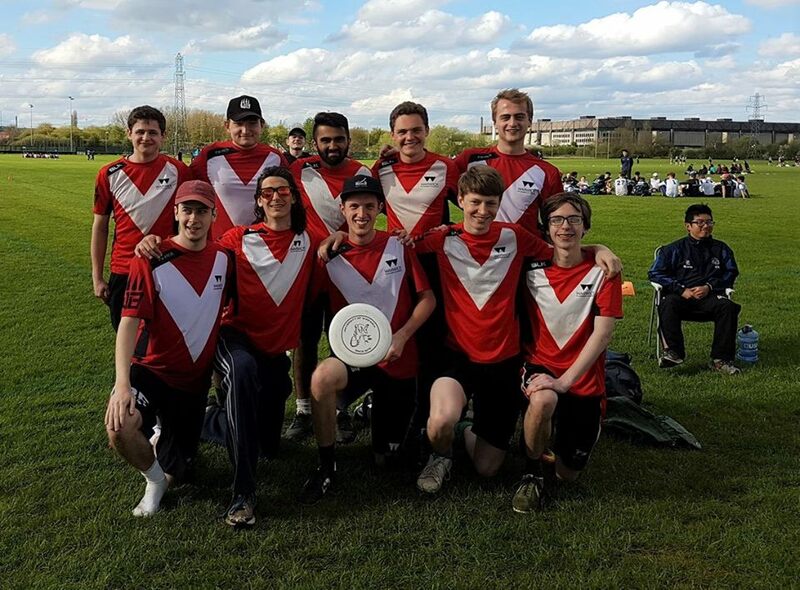 After a tough season (it went as predicted, but safe to say it didn’t go as we hoped), we were looking for redemption at nationals and had our sights firmly set on division 2 gold, looking to keep the midlands div2+3 winning streak alive. We unfortunately came into nationals with a depleted squad, losing about half of our regular first team to exams/injuries, which meant that aiming for top 8 suddenly became the “realistic”/expected target in most people’s eyes – but we didn’t let that get to us. 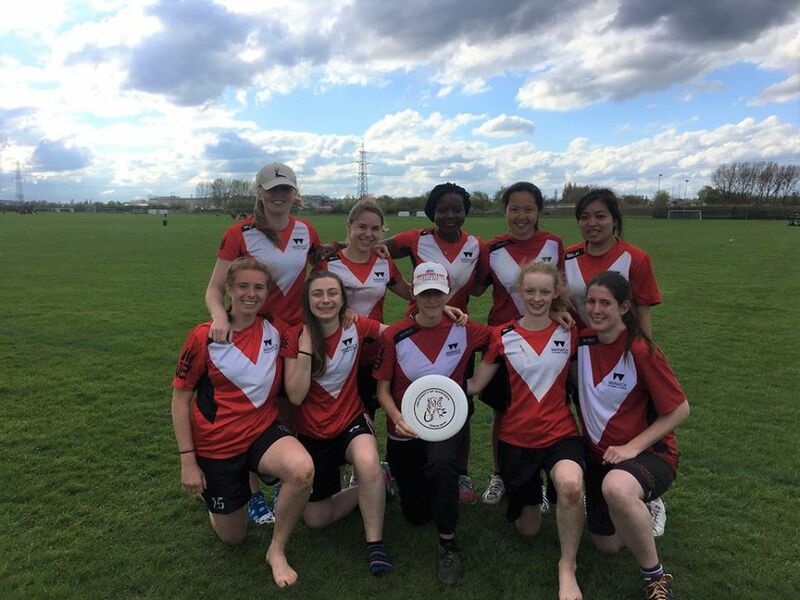 Despite not having our two first-team returners, and entering nationals with only 11 players (two of whom hadn’t played for the 1st team ever before), we were determined to not let the hard work we’d put in all season go to waste and gold remained our ambitious goal for the entire weekend. In the end, the team we sent was for the most part last year’s 2nd team, who had managed an incredible 4th place finish in division 2 on the back of non stop hard work and dedication, and although it had lost a few key players we still firmly believed we could repeat and even improve on last year’s result. The regular conditioning sessions, the grueling practices/games in all types of weather conditions, and the constant effort put in by club members throughout the entire season truly paid off this weekend, as our low numbers did not slow us down in the least when facing our division 2 competition. And there’s no overstating just how incredible the effort was by every single player on the team. 5 of our 6 games went to universe at nationals, and despite likely having the more tired legs in most of those games, everyone pushed through and gave the team one final push to get us over the line time and again and earn us the much deserved “dirty gold” (aka. bronze). It isn’t possible to be more proud of this talented, extremely hard working and deserving group of guys that represented us at nationals. For all its highs and lows, this final season of mine has been incredible and I thank every one of them for the non-stop effort they put in. Wear your medals with pride boys, you earned them. 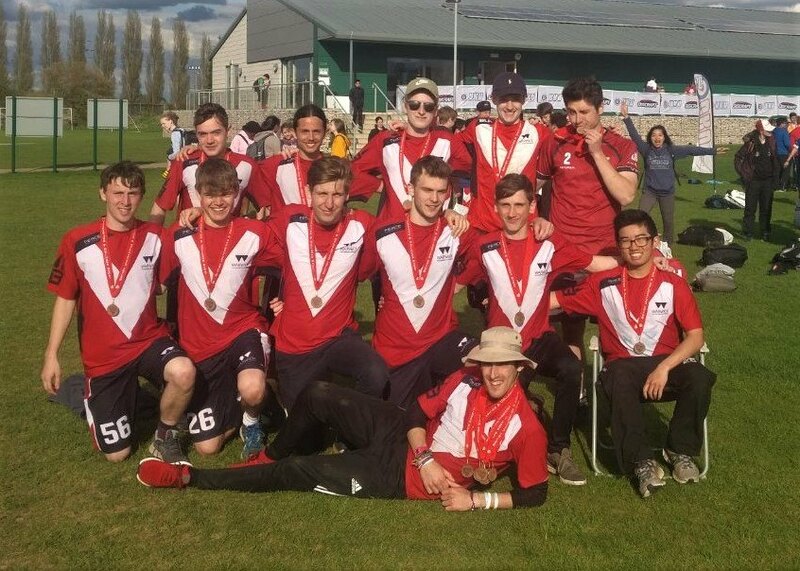 Extra shoutouts to Daniel Galvin and Will Bolton for their incredible performance despite not having played for the first team before this tournament, to Sam Goodman for finally coming back from injury and getting tournament MVP for his aerial dominance, and to Ka Tsung Wong for truly putting his body on the line for the team (wish you a quick recovery bud). Nationals was a great way to end the year for the Bear’s Women. Saturday consisted of some Regionals match ups with spots in Div 1 up for grabs. The first game of the weekend saw us taking on Swansea with the winner guaranteed a place in Div 1. After many close games against them indoors, a tight game was to be expected. We took the win 8-7, proving that we could grit it out when it mattered. Next up were Bath, the eventual bronze medallists of Div 1. We really stepped it up a gear to show what we were capable of, sadly losing out 6-5 on universe. Despite the loss, I was proud of how everyone fought hard throughout to create an intense, memorable game. The final regional game was against Southampton. Our 8-6 victory left us 3rd in the region ready to take on the rest of the country as we begun our Nationals games. For the last game of the day we faced up against Strathclyde. Although the game didn’t go our way, the improvement throughout was impressive and the fan-boying on the sideline kept us all entertained. A combination of exams and injuries left the team a little depleted coming into Sunday’s games. Despite this, the 9 remaining Bears stepped up to the challenge with some great performances. I don’t think Winnie ever expected to iron-man the Sunday whilst handling for most points! A win and 2 losses on the Sunday saw us finish a very respectable 14th in the country and the highest placed Bear’s team of the year. 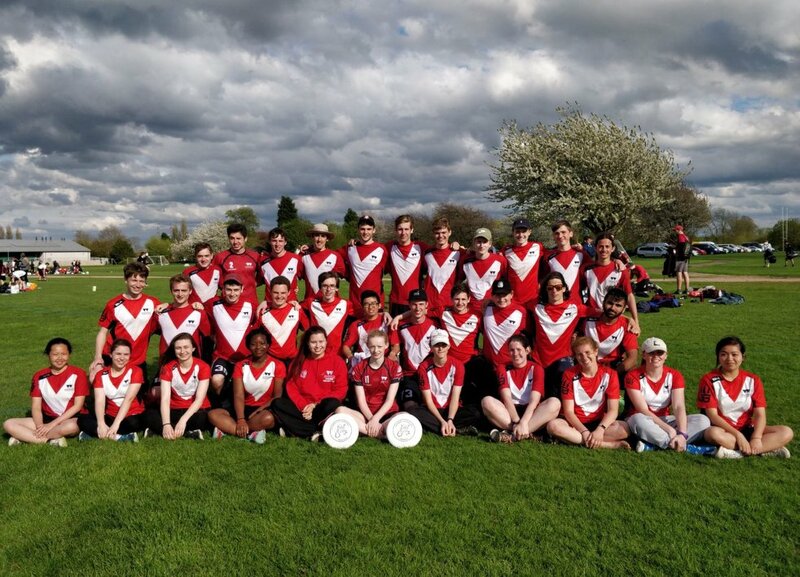 I’m really proud of the team for showing that they can compete with some of the best in the country and especially the freshers for coming out and absolutely smashing it at their first proper outdoor tournament. Thanks to all the Bear’s Women for being a pleasure to captain all year and making Nationals the success that it was! Bears 2 were put in a difficult spot before the tournament began, with a large proportion of regulars being promoted to the first team, injured, or unavailable. Add to the fact the further loss of 7 more players during the tournament, and the situation looks grim. The team was therefore never expected to do well, especially when up against first teams that had played together all year, and had eyes on silverware. Inspite of this, Bears 2 gave a good account of themselves, successfully scoring in all our games and made every team work hard with some impressive defence work. No matter the score line or how many matches we lost, the team never stopped trying or let their heads drop. Each point we gained was precious and hard fought for and everyone should be immensely proud of themselves for the effort and work they put in. To the freshers that played this weekend, to be playing at this level in your first year is impressive. You all played extremely well and I hope you go on to smash future tournaments. Thank you for a great weekend Bears 2, it was a privilege to be your captain.